A shorter version of this article was first published in Drinks Business magazine, January 2012. The necessary mantra that sustainability is a journey not a destination is becoming manifest. And to prove that enterprises are taking continuous steps of improvement along this journey requires measurement, reporting, traceability and improvement action plans, often accompanied by independent certification. In wine, the new world leads the field, and while some schemes are fresh out of the blocks, others have been around the blocks a few times, toning themselves up each time, getting more producers involved and getting them better involved. Balancing the carrot against the stick is tricky, even in a country such as South Africa, which has a long and normalised history of measurement and recording, even before the country introduced its certified Integrated Production of Wine (IPW) programme in 1998. Will SA’s lead in wine sustainability become as memorable as this? 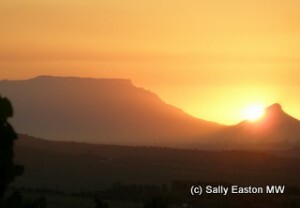 The Cape’s voluntary scheme is well adopted, with several evolutions: South Africa leads the industry in biodiversity conservation, with more hectares conserved for biodiversity than are under vine. Given that the Cape Floral Kingdom, a biodiversity hotspot, accounts for 0.5% of the African continent’s area and 20% of its flora, this is an important achievement, via the Biodiversity and Wine Initiative (BWI) scheme, which has existed since 2004. In 2006, BWI guidelines were added into IPW as an extra voluntary step. As well as incorporating additional elements of sustainability, it’s getting tougher to achieve IPW certification. From 2012, the pass mark will be 65%, having been 60% in 2010, 55% in 2009, and 50% in 2008. And producers wanting to include BWI in their IPW certification must achieve 70%. To use the sustainability seal every link in the production chain – farm, cellar, bottler – must register and comply with IPW guidelines, so 100% of fruit in any wine, even if bought and blended from many different growers, must be IPW-accredited to use the sustainability seal. Use of the sustainability seal is running at around 85%. 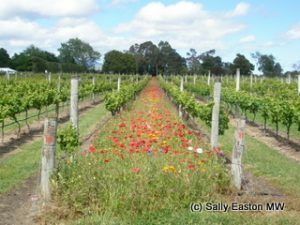 By comparison, the figure for Australia’s more recent scheme, Entwine Australia (environment and wine), currently requires 85%. The Aussies have been uncharacteristically bashful about their sustainability work. Entwine, explained Jonathan Green, natural resources manager at the Winemakers’ Federation of Australia, is “an accreditation program for sustainable vineyards and wineries. When both are members the winery is permitted to market wine as sustainably produced.“ It’s voluntary, and members must also provide an annual report on resource use optimisation, waste handling, biodiversity achievements and carbon emissions. Continuous improvement is a mandated part of certification, “each year you need to demonstrate a new efficiency” he added. A quite revolutionary impetus came in 2007, with a policy change by Winegrowers. Manson said “in the early 2000s our involvement sat at 50-55% of the vineyard area, right through the period of vineyard expansion, so our engagement wasn’t growing proportionately. 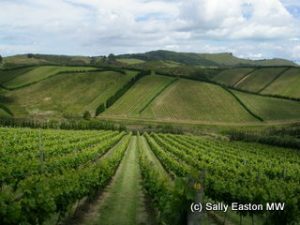 In 2007 the Winegrowers board decided that by 2012 New Zealand would be ‘100% sustainable’.” They stated that to take part in industry activities, including Winegrowers’ international marketing events, by 2010 producers had to be accredited by an independently audited environmental programme, such as SWNZ, ISO14001 or organic/biodynamic. With “that orange-coloured, carrot-shaped stick, our membership took off” said Manson. Effectively growers “can’t sell grapes without being accredited to a programme, it’s become a condition of supply. It’s created some tension, but it’s been a major step forward.” Between 2007 and 2011, membership by vineyard acreage more than doubled to reach 95% of the total vineyard area, in a time frame when the vineyard area increased by over 130%. Membership by winery number increased fourfold, reaching 95% of production. Another step change came a year later when the annual scorecards moved to a fully electronic system, and it moved to a ‘good agricultural practice’ approach, with scorecards weighted to ‘major must-dos’, ‘minors’ and ‘recommended’. Members must achieve 100% of the majors, and 80% of the minors. In 2012, measuring and reporting energy use will also fall into the ‘must-do’ category. With their more robust electronic database, Manson said the next step is greater data management, with the intention to invest in some rigorous analysis now that they have two and sometimes three years worth of data on some measurements. Manson said to expect much more noise from New Zealand in the next six to twelve months. And, she added, between 2004 (the baseline reporting) and 2009 (the latest report), “we showed improvement in 60% of the 227 criteria” in the workbook. 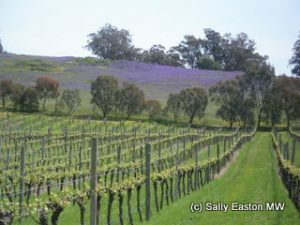 After focused education, she said, we “increased grower performance for 35 of the 38 IPM criteria, for seven out of seven energy efficiency vineyard criteria, and seven of ten energy efficiency criteria.” This resulted in enough electricity savings to power a community of 8,500 for a year (55m kwh), and to remove 30,000 tons of CO2 emissions. Since the programme’s launch in 2002, self assessments have been completed that cover about 70% of California’s vineyard acreage and 65% of the state’s production. As the three goalposts of environmental, economic and social equity sustainability necessarily keep moving, such evolving overarching sustainability programmes are gradually incorporating some of the ‘single-issue’ initiatives, such as LCA GHG emissions, organic/biodynamic, carbon neutral and water footprints. Increasingly robust data will ensure the trek can be tracked transparently.